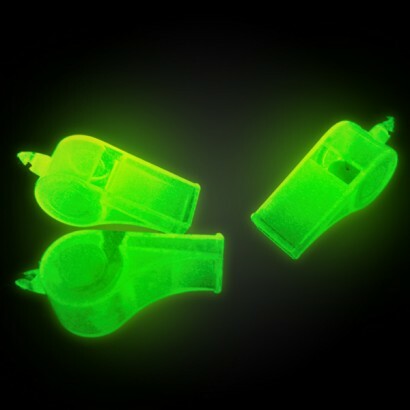 Super charge the atmosphere at your party with brilliant glow in the dark whistles! Fantastic value! 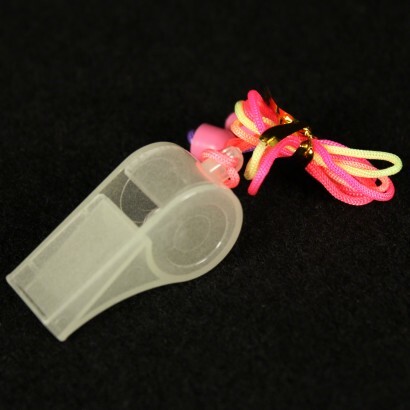 Make some noise and enjoy a little glow in the dark effect too with these brilliant glow in the dark whistles! 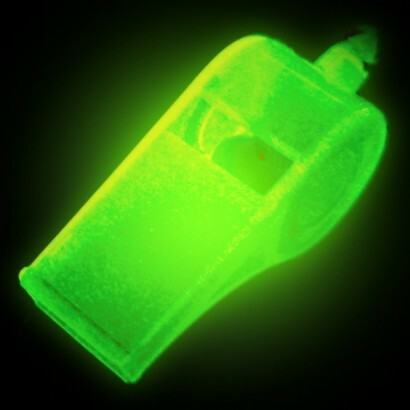 A firm party favourite, these glow in the dark whistles appear pale green/off white in the light, but expose them to light allowing them to charge before viewing pitch black conditions and they'll glow brightly in the dark in luminous green! Want to prolong or super charge the effect? Expose to UV blacklight for a super bright glow that will shine for as long as the light shines on them.